SECOND HOUSE FROM THE BEACH! 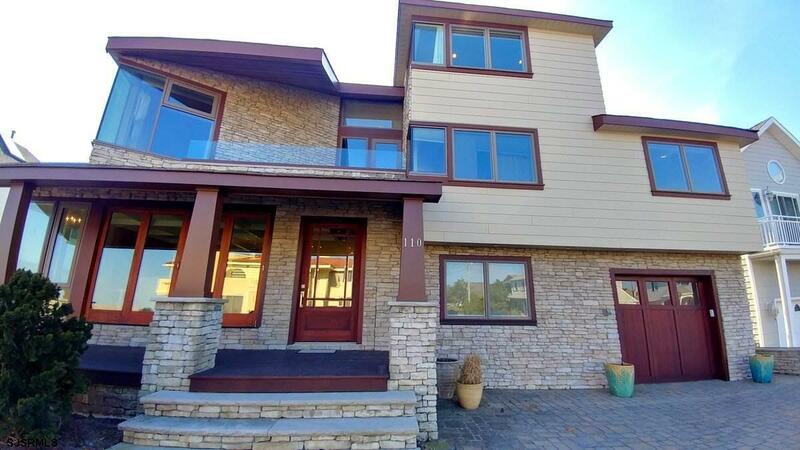 Enjoy this beautiful shore sanctuary on a quiet street in Margate, second house from the beach. Views from every room which have been tastefully appointed for the ultimate relaxing experience at the shore. There are 6 bedrooms, 6 bathrooms, an exercise room, den and large great room for your family and friends to enjoy this lovely retreat. This home was completely rebuilt in 2011, taken down to just the foundation, even the studs were replaced for solid construction. Custom Dynamic Architectural windows to maximize the ability to enjoy the water view. The master suite has a vaulted ceiling, private deck and a California kitchen for cocktails or morning coffee. SONOS sound system throughout and so many more upgrades. You must see this home to appreciate all of them.